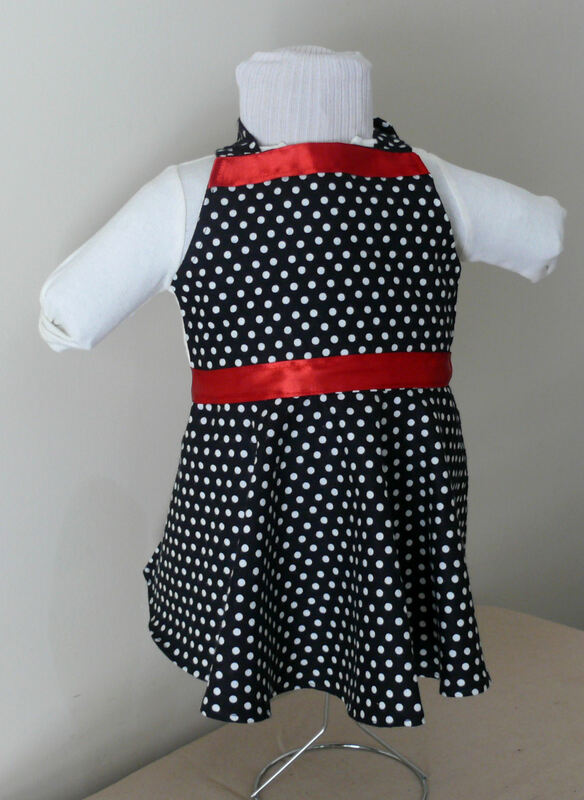 The first truely retro inspired design, the Rockabilly Apron Bib features a similar top to our Apron Bib, but the bottom is a half circle skirt: lots of extra fabric to cover that baby lap with (and wrap around the high chair in all the right places). 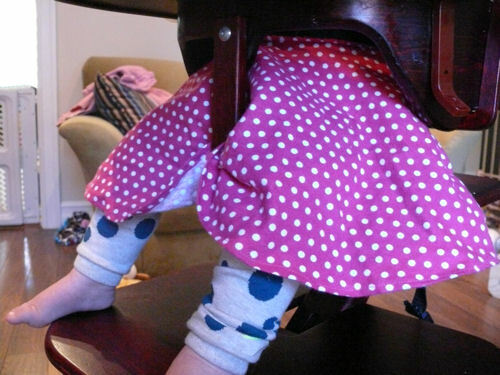 It is also a little bit longer for extra coverage, and taller babies. 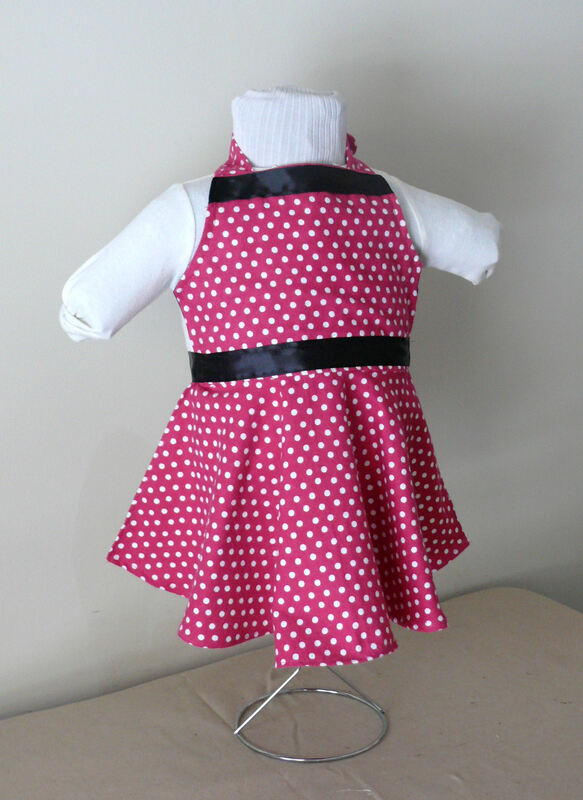 It is fully adjustable at the neck and waist, machine washable and has a more girly flair than our other designs. The current fabrics are 100% cotton. It is great for anything messy whether spoon-fed or self-fed. It is a medium-full coverage bib. Currently available in Pink with Black Satin Ribbon and in Black with Red Satin Ribbon. Longer Length and Great Coverage! ~ by Stephanie on March 2, 2011. Oh I love it!! I may have to order one. You’re a genius!